List Rules Vote up your favorite Universal-themed park ideas. It's been hard to quiet the rumors of the past several months that Universal is buying up hundreds of acres of land in Orlando for something called "Project 314." It seems likely that this will be a fourth park that will expand upon the already-existing Universal Studios, Islands of Adventure and Volcano Bay water park in Florida. Unfortunately, there probably won't be any official announcements regarding the park or its attractions in the near future; despite its race against Disney to get these rides up and running, Universal is currently in a lawsuit with the owner of the newly-purchased land, who doesn't want to have a theme park on the property. That means there's still plenty of time to speculate on what Project 314 will actually include. Below, some of the most likely theories. 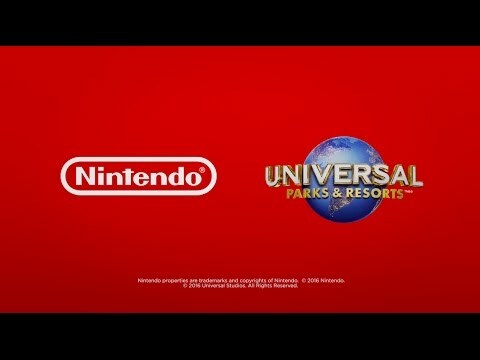 The Super Nintendo World construction was going to include the Mushroom Kingdom as a central hub with a recreation of Princess Peach’s Castle, a Mario Kart AR attraction, a Yoshi unimover experience, various dining spots and shops and a Donkey Kong Tropical Island themed space complete with a Donkey Kong indoor-outdoor coaster. There were even leaked construction images and concept art for the OG park as late as last year. That no longer seems to be the case for Universal Orlando, though not to fear! It may just mean Super Nintendo World is moving over to the rumored fourth park; allowing for a larger portion to be dedicated to the Nintendo Universe which may or may not include a Super Mario Land, Donkey Kong roller coaster, Kirby World, Zelda Kingdom and a Mario Kart course. It's also possible Super Nintendo Land will span multiple parks, making it the largest space given to a particular franchise. As Universal Japan's Super Nintendo Land is scheduled to open near the 2020 Olympics, hopefully Orlando's won't be far behind. Would you go on this attraction? The working theory is that the area will be transformed into Jurassic World: The Ride, complete with updated Animatronic dinos, teetering jeeps, giant orbs and a cameo from the Indomonous Rex. At the very least, it will be great to have some updated technology for a ride that's been around 22 years. The Wizarding World of Harry Potter is already a staple of Universal's attractions, but what about an expansion pack? Considering that there's already a new Harry Potter rollercoaster in the works, and that rumors of an immersive Fantastic Beasts area began before the movie even premiered, we'd place our money on seeing a Ministry of Magic somewhere on Universal Orlando's new playgrounds. The park has the codename "Project 314" and could be finished as soon as 2023. The Lord of the Rings rumor came about a few years ago when fans thought it was going to be an expansion of Universal’s Islands of Adventure (after Universal supposedly bought the rights). According to the blog, the Middle-earth addition has been a “frequent almost-player” at Universal. While that doesn't give us a lot to go on, especially considering the vastness of MiddleEarth and the endless possibilities of different sub-parks within the larger resort, chances are Universal will be spending a lot of dough on making sure one of their most lucrative properties can recoup the cost in extras like food and merchandise. "Imagine if you will a world unlike any you've ever visited before: it's Middle Earth, the ancient and beautiful land forged by J.R.R. Tolkien as the backdrop for his two most well known creations, Lord of the Rings and The Hobbit. Walk as a human among dwarves, elves, orcs and hobbits--all faithfully recreated and portrayed in the spirit of the original characters as they appeared in both the books and the movies. In this land you'll experience one-of-a-kind rides and attractions that bring to life some of the most memorable experiences of Tolkien's world including Bilbo's hobbit hole, the fortress at Isengard (before it was destroyed) and even the dark world of Mordor -- including the terrifying volcanic Mount Doom."